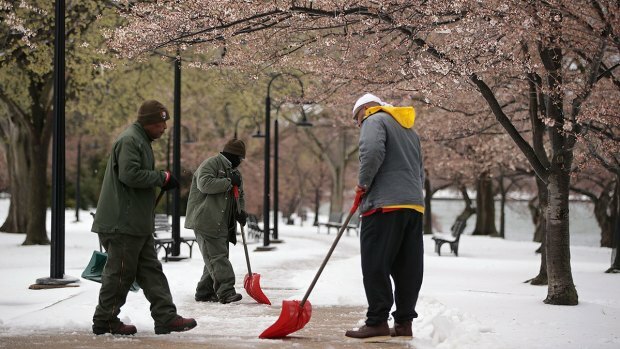 NBCWashington.com readers share their blossom pics. E-mail yours to isee@nbcwashington.com! 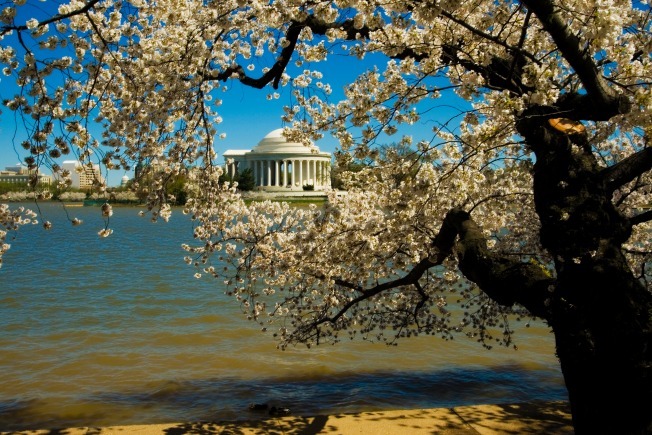 The National Cherry Blossom Festival is wrapping up this weekend. The pollen count is at about a zillion, and the blossoms have officially peaked. Your sinuses may be feeling kind of spent -- but as far as cost goes, many of the festival events are free. The 50th Sakura Matsuri Japanese Street Festival (Pennsylvania Avenue and 12th Street N.W.) hosts live performances on five stages, Japanese marketplaces, food and two Kirin Ichiban Beer Gardens -- Saturday, April 10, 11 a.m.-6 p.m.
Family Fun Zone near the Thomas Jefferson Memorial -- Saturday and Sunday, 10-11, 10 a.m.-5 p.m. The Cherry Blossom Ten-Miler (Washington Monument grounds, 15th Street and Jefferson Drive): If you're not up for the ten-mile run, opt for the 5K walk. No need to get all sweaty, right? -- Sunday, April 11, 7:45-11 a.m.